"Legendary, Op. 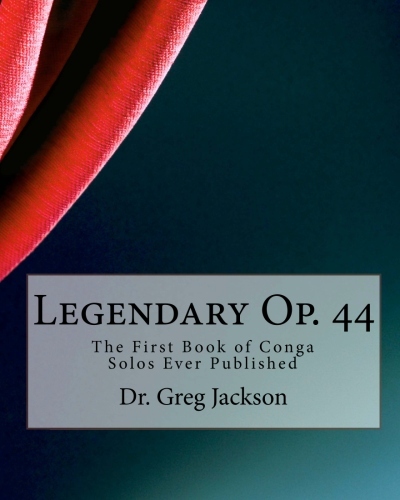 44" is a collection of conga solos composed by best selling author Dr. Greg Jackson. This is the first book of solo literature ever published for the instrument. Each solo uses traditional music notation, as well as indications for which hand is recommended to play a certain drum. The different sounds are also thoroughly notated for each piece for those who are new to reading music. "Legendary" features 13 pieces for 2 to 5 congas and incorporates some traditional marchas, as well as newer forms such as timba. Each piece is designed for concert performance settings, or for the conguero in need of a solo during a song break. This book is also an excellent study tool for learning to design your own solos in a band type of setting. 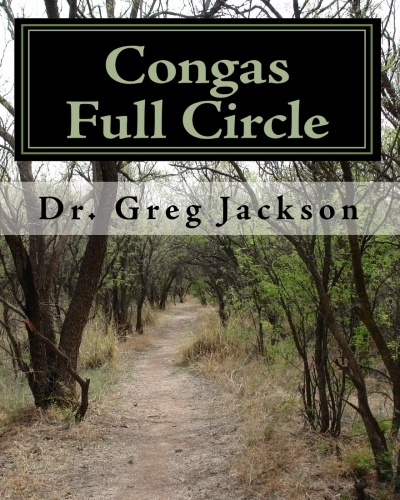 Congas Full Circle satisfies a missing link in percussion literature. This is the first book for congas and hand drumming that breaks down the patterns of various styles (almost 50!) into small sections that can be digested easier. Although there are many high quality books for hand drummers, the books merely notate the patterns without teaching the reader how to play the rhythms. Congas Full Circle will fill that void. The book includes many exercises to teach the reader how to play rudiments on congas while improving your quality of sound. There are also examples of styles for djembe, batá, bongos, and cajones with music spanning from early African patterns to modern day Salsa and Timba. With almost 400 pages, this is the most comprehensive book on congas available. Copyright 2017 Inner3. All rights reserved.